A massive earthquake hit Nepal on April 25th, 2015 with several aftershocks afterwards. 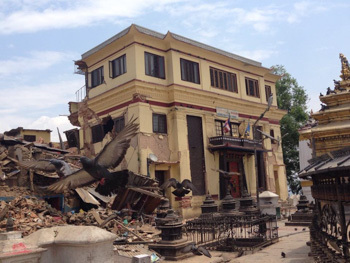 Thousands of people have been reported dead and injured and many buildings in the Kathmandu Valley were damaged or destroyed including many historic monuments. 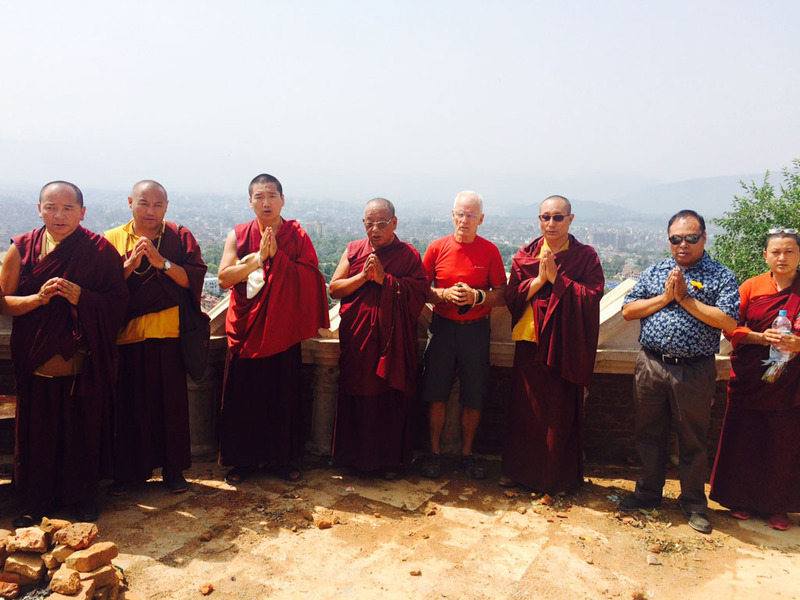 Lama Ole visited Sherab Gyaltsen Rinpoche in Nepal to offer his support after the catastrophe. 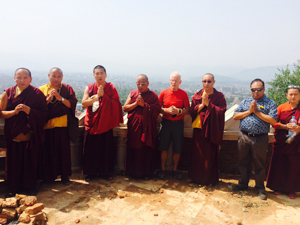 Below on the pictures Sherab Gyaltsen Rinpoche, Sabchu Rinpoche, Lodro Rinpoche and Lama Ole visit the Swayambhu Stupa hill in the company of lamas, western students and members of the Karma Raja Maha Vihara Monastery's Committee and the Karmapa ShaMarNag Committee to see the damage done to the buildings and monasteries. Several monasteries of our teachers were damaged or destroyed in the earthquake and aftershocks. This is the status as of June, 15, 2015. Dhagpo Sheydrub Ling (Nala Gompa) - Sherab Gyaltsen Rinpoche’s new monastery outside of Kathmandu close to Bhaktapur has some cracks but seems to be fine. The inauguration planned for May 2015 is postponed until further notice. 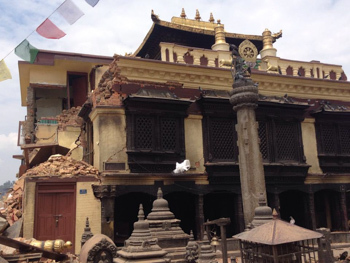 Karma Raja Maha Vihara Monastery - Shamarpa and Karmapa’s monastery on Swayambhu was badly cracked and is being taken down under the supervision of UNESCO and the Karmapa ShaMarNag Committee. Lopon Tsechu Rinpoche’s Monastery on Swayambhu (Swayambhunath) is badly cracked and parts are destroyed. 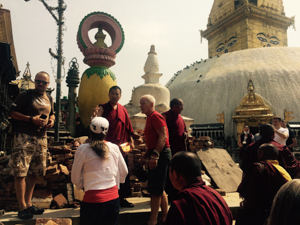 Lopon Tsechu Rinpoche’s Monastery and guesthouse below Swayambhu (Swayambhunath) hill have only very small cracks. 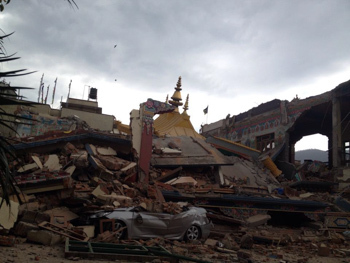 Gompa and Stupa are fine. Sharminub Monastery – the new monastery of Shamar Rinpoche currently under construction is partially damaged. 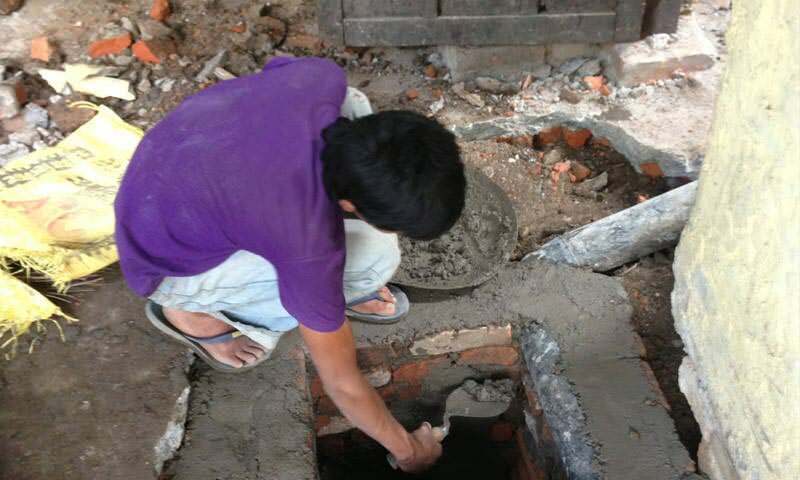 Many of you are asking how to help. 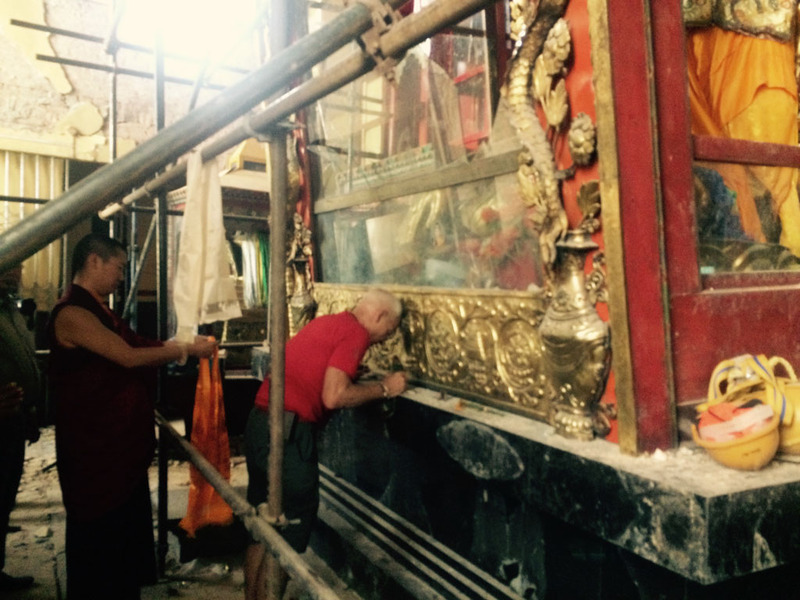 Following the advice of Lama Ole, there are three donation options targeting our friends, lamas and their monasteries listed below. If you would like to make a more general humanitarian donation, please pick a well-established humanitarian organization of your liking, some are listed for example here. Diamond Way centers worldwide are collecting private donations. 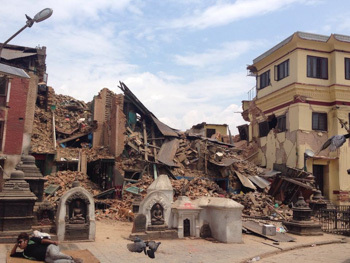 We will bring the money to Nepal as soon as possible and distribute it to our Buddhist friends and monasteries based on Sherab Gyaltsen Rinpoche’s advice. There can’t be any donation receipts for this money. 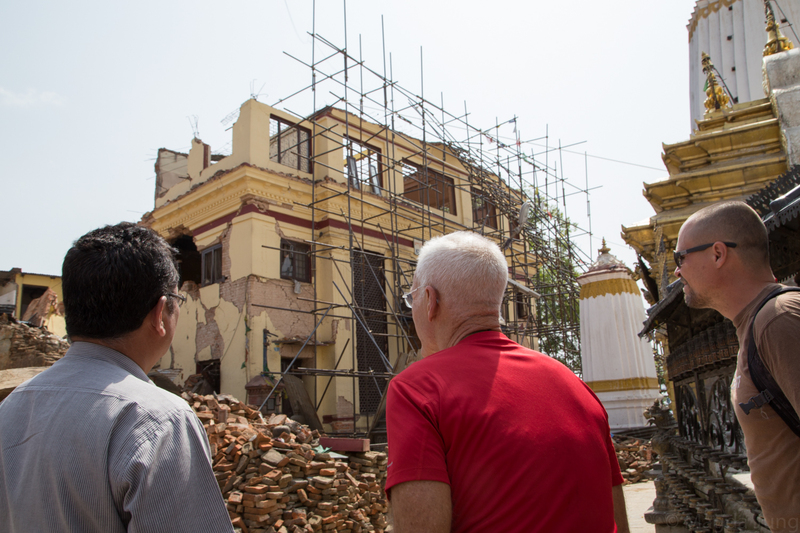 The money will be used primarily for the rebuilding of the damaged Karmapa and Shamarpa’s Swayambhu monastery and if we can extent the project also for the Swayambhu stupa and its surroundings. These donations are eligible for donation tax receipts in Germany. 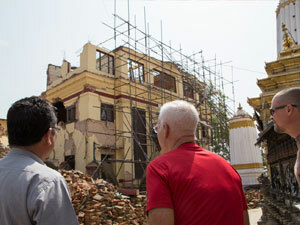 Please send an email to spenden@buddhismus-stiftung.de if you need a donation tax receipt. 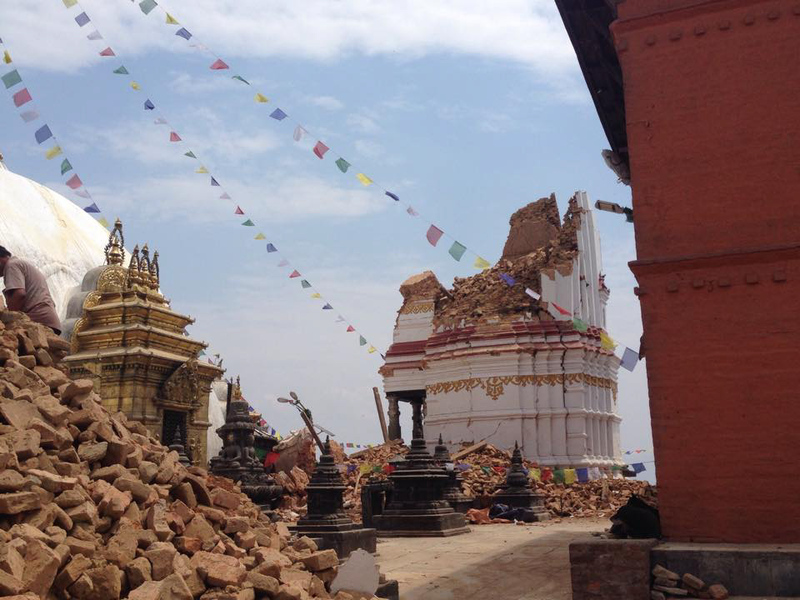 Please send an email to spenden@buddhismus-stiftung.de if you need a donation tax receipt. 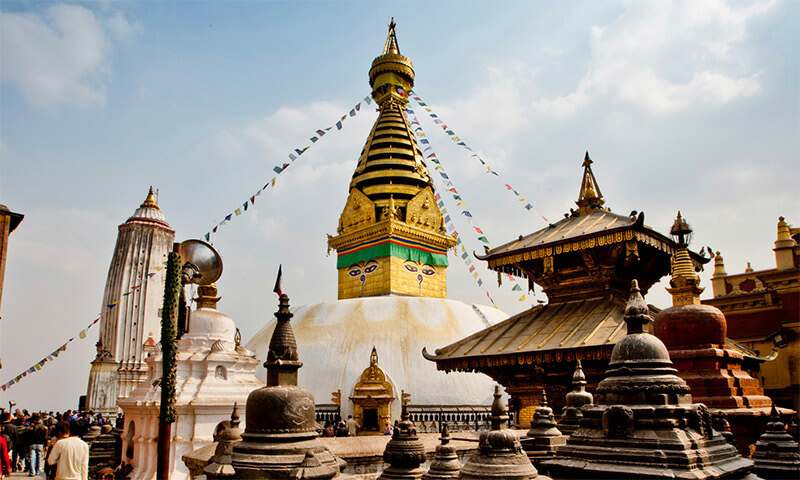 The meaning and history of the Swayambhu Stupa and Karmapa's Monastery.